By the next morning Dan's fever had lifted and he was feeling much better after a good long sleep, much to everyone's relief - not least dear Dewa's. 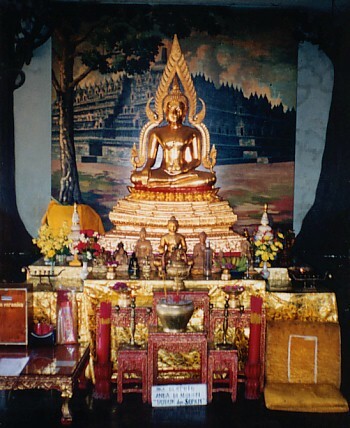 We headed up to Banjar, not far from Lovina, to visit the Buddhist temple there. There's a beautiful Buddhist monastery with fabulous views over the northern coast. 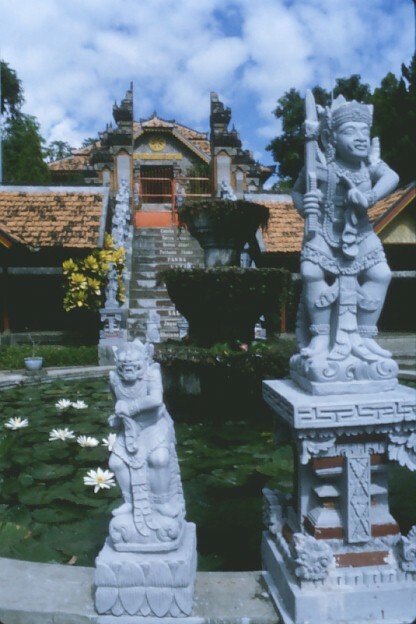 At the entrance to the monastery were Balinese stone carvings and a lovely lotus pond. 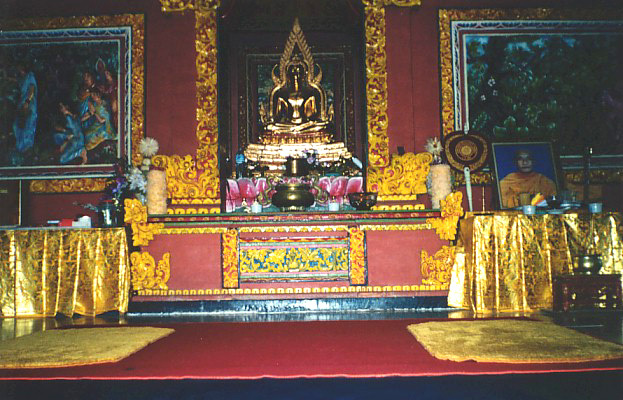 The monastery complex included several courtyards leading to temples where golden Buddha statues sat surrounded by offerings and burning incense. It was an incredibly serene place, very quiet and reverential. 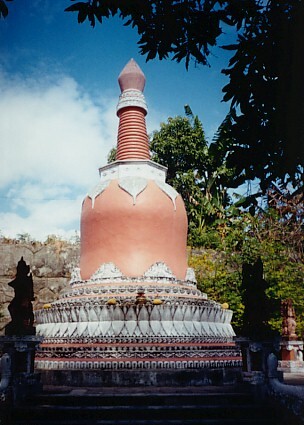 In one of the courtyards was this stupa, shaped like a giant bell. The devotion of the Buddhist disciples was evident everywhere. 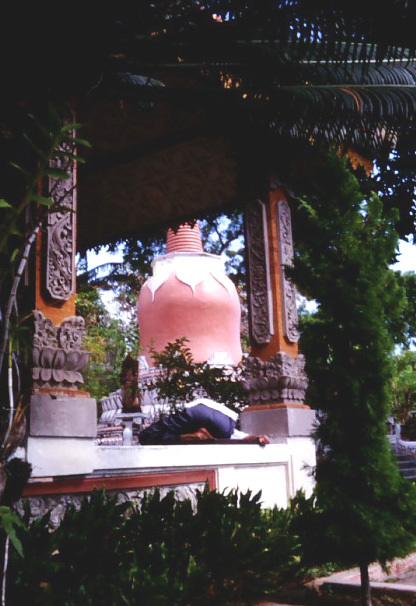 This person appeared to have fallen asleep during his meditations. You can click on the images for a larger view. 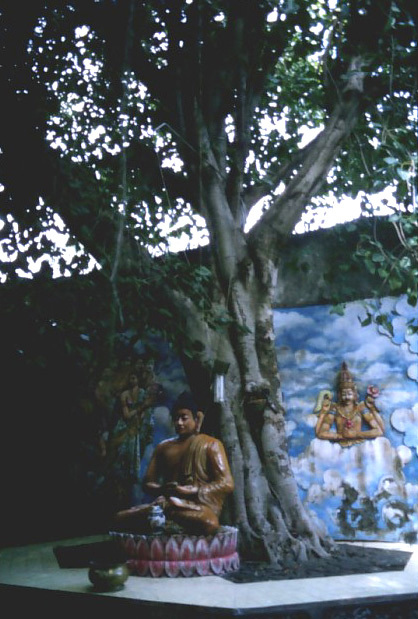 In one of the courtyards sat a statue of the Buddha. To reach it you had to walk through a curtain of hanging vines from a Banyan tree. It gave the grove quite an intimate feeling. 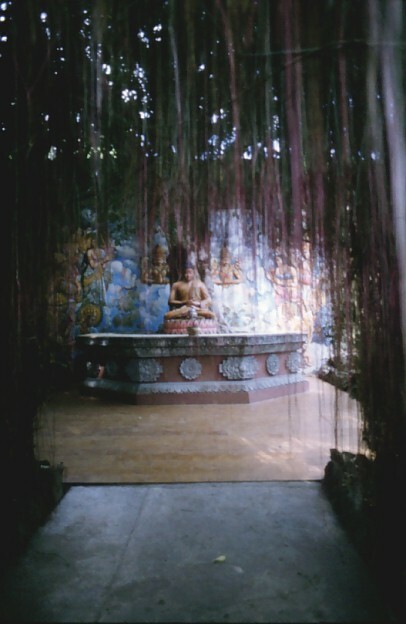 In the courtyard, the Buddha sat under a sacred po tree - the same type of tree under which he is said to have meditated and attained enlightenment, according to the Buddhist scriptures. We felt a deep sense of calm and peace as we left the monastery, the way one often feels when one leaves a holy place. 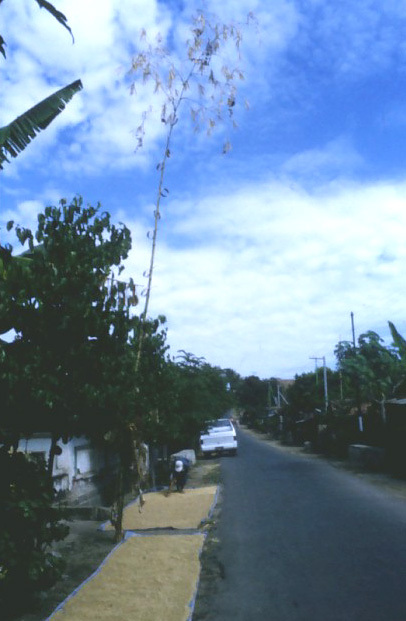 On the way out of town we passed rice, harvested and threshed, and now spread out beside the street to dry, with tall offerings made out of twisted palm leaves.